Matthew Simmonds explores historic architecture in stone sculptures « Adafruit Industries – Makers, hackers, artists, designers and engineers! Beautiful new work from sculptor Matthew Simmonds, featured on dezeen. 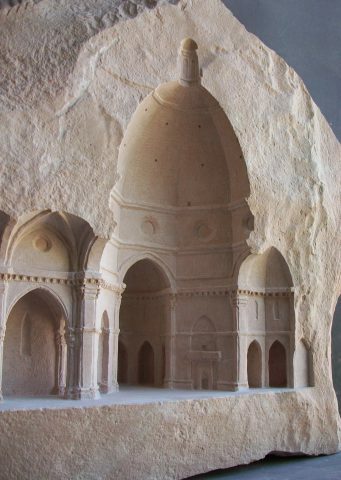 The result of a lifelong interest in stone architecture, British sculptor Simmonds’ portfolio explores the characteristics of ancient and medieval buildings. Some of his models depict real structures, like Florence Cathedral, while others are abstract details.